The daily feeding recommendation contains approximate values and is a guide only. Daily serving requirements strongly depend on the breed and type of dog. Our food is suitable for puppies once properly weaned and all life stages. 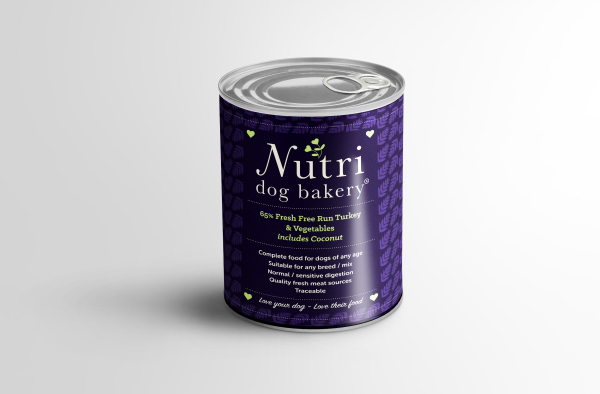 Introduce new food to your dog’s current diet gradually. Feed your dog responsibly based on your knowledge of their daily levels of exercise and mental agility, size and weight (anticipated/actual), age and breed/mix as well as having consideration of environmental factors. Ensure you adjust feeding amounts accordingly if you are also providing your dog with other foods, such as dry food and/or treats. Feed at room temperature and ensure a bowl of fresh water is available at all times. Store in a cool dry place, use product on day of opening. Our daily feeding recommendations contain approximate values and are a guide only. Daily serving requirements strongly depend on the breed and type of dog. Our food is suitable for puppies once properly weaned and all life stages. Introduce new food to your dog’s current diet gradually. Feed your dog responsibly based on your knowledge of their daily levels of exercise and mental agility, size and weight (anticipated/actual), age and breed/mix as well as having consideration of environmental factors. Ensure you adjust feeding amounts accordingly if you are also providing your dog with other foods, such as dry food and/or treats.